Here we present some of the interesting tidbits, as part of Behindwoods quickies, which might excite you. 1. The first schedule of Vennilla Kabbadi Kuzhu 2 has been completed recently with Vikranth and others. Suseenthiran has written the story for the film, which is directed by Selva Sekaran. 2. Mani Ratnam's Cheliyaa (Telugu version of Kaatru Veliyidai), has been censored with a clean U certificate and will be releasing on the 7th of April. 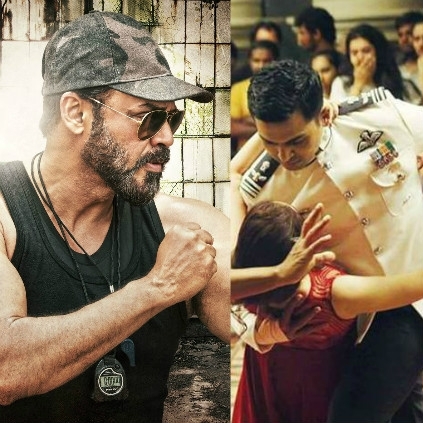 Likewise, Sudha Kongara's Guru (Telugu remake of Irudhi Suttru), starring Venkatesh and Ritika Singh has been certified with a U certificate and will hit the screens on the 31st of March. 3. Samuthirakani has started shooting for the Malayalam remake of Appa from today (25th March), with Jayaram reprising Samuthirakani's role. 4. Ajmal, who impressed everyone with an impactful performance in K.V.Anand's Ko, will be seen in a very pivotal role in Arulnithi's Iravukku Aayiram Kangal, directed by debutant Mu.Maran. People looking for online information on Appa, Cheliyaa, Guru, Iravukku Aayiram Kangal will find this news story useful.